Peasant women in the costumes from Canton of Lucerne. 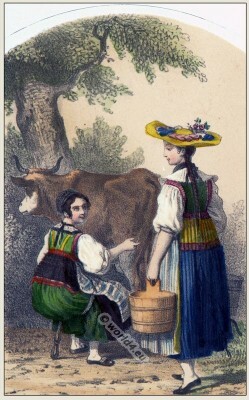 Peasant women from Canton of Lucerne. Switzerland national costumes. Costumes Suisses des 22 cantons, 1865. Dessiné par Louis Lassalle, Illustrator.